Serials, Mega serials, soap operas are a staple diet of any television viewing household; these fictional characters are regular visitors of homes across the nation every night. 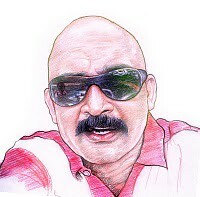 To break the clutter of these over dramatic serials; Vijay a pioneer in innovation; presented series like ‘Maharani’, ‘Mahaan Saibaba’, ‘Pirivom Sandippom’ which stood out from the crowd and proved to be winners. A year back Vijay introduced a serial Kanaa Kanum Kalangal dealt with school life and adolescence that had an over whelming response from viewers of all age groups. Now as a lead to the story Vijay TV launches ‘Kana Kanum Kalangal Kallooriyin Kadhai’ from 02 May 2011, airing Monday to Friday at 1900 hrs. Kana Kanum Kalangal Kallooriyin Kadhai is the story of students who have stepped into ‘ASAL college of Engineering’ after their colorful school life. College, a place where anyone builds their confidence apart from educational values and morals and of all that the memories which relish in our lives through out. No one could ever get rid of the memories they gained in their school and college life. Kana Kanum Kalangal Kallooriyin Kadhai is based on this beautiful platform of college life, friendship and an emphatic tale of triumph, trials and tears. 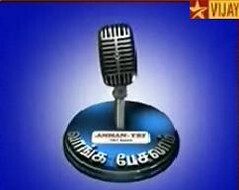 For the star cast of Kana Kanum Kalangal Kallooriyin Kadhai an audition for the new and fresh faces was held across Tamilnadu. Apart from the new faces, popular faces from the previous season of Kana Kanum Kalangal, Pachai, Pandi, Bala, Ragavendar join the gang to create a fun filled atmosphere amongst the students. The news faces were put through acting and grooming workshop and were assessed on their acting capabilities. Special training for acting was given by theatre artistes and professors from department of performing arts of Pondicherry University. These young budding stars promise to entertain and enlighten you with their casual attitude and aptitude to acting. The dreams continue in the new season of Kana Kanum Kalangal Kallooriyin Kadhai with twofold laughter, fun and double the enjoyment. Kana Kanum Kalangal Kallooryin Kadhai is directed by Tamizh. The star cast includes Pandi, Chatriyan, Bala Saravanan, Ragavendar, Prem, Karthi, Vishnu, Ganesh Prabu, Rajni, Sai Pramodita, Nisha Krishnan, Sweta, Kushbu, Susan, Raviraj and many others. Beginning from May 02, 2011, ‘Kana Kanum Kalangal Kallooryin Kadhai’ brings you the nostalgic moments of college life, watch it Monday to Friday at 1900 hrs. Don’t miss it! 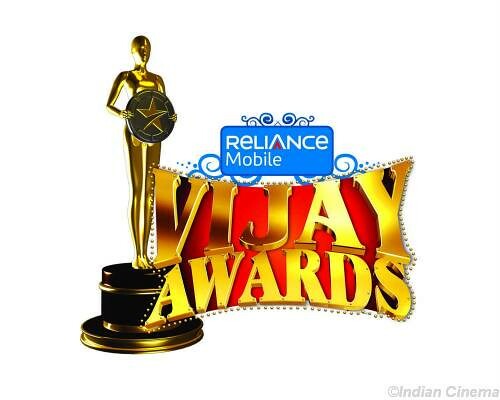 Galatta Media and Vijay TV are all set to bring you a musical extravagance: Vijay Music Awards 2011. As a part of this event, Galatta Media and Vijay TV will flag off three vans across Tamil Nadu; viewers can also take part in the event by casting their votes! 10. 00 am - Koffee with Jiiva! Along with the actor, K.V. 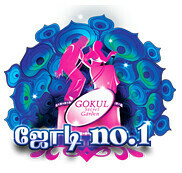 Anand, Piaa, Karthika and Ajmal Ameer will also take part in the show. 11.00 am - For the first time in TV, Vijay TV premieres Karthi's blockbuster Siruthai. 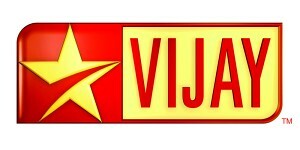 3.00 pm - Jewel One Star Vijay Nite powered by The Chennai Silks. 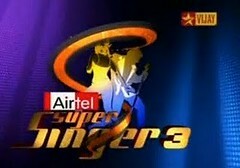 The show will feature Shankar Mahadevan along with popular singers Srinivas, Chinmayi, Haricharan, Suchi and Velmurugan. Check out for some scintillating performances from Sneha, Sandhya, Sana Khan and Poorna. And the showstopper of this electrifying event is none other than Vikram. So stay tuned and enjoy this May Day with Vijay TV!